Well, this was bound to happen. Yesterday during its annual I/O developer conference Google announced that it would finally offer full offline support in Maps for Android by the end of the year. Nokia’s Here Maps division has obviously heard about this, and decided to make fun of the fact that Google Maps is still pretty much useless offline at the moment. Here has had offline maps since the moment it launched. Even its predecessor, known as Nokia Maps (and Ovi Maps at one time), came with this feature built-in. The image you can see above exemplifies the way in which you can use Here offline maps. 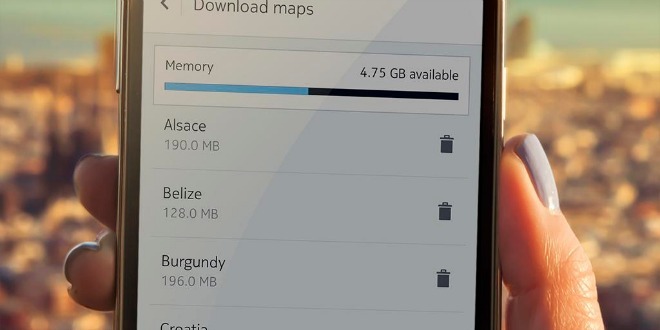 You first download the map you’re interested in, and then you can search and navigate even while not connected to the Internet. The same thing should arrive in Google Maps later this year. Here laughs, but Google’s places database and its points of interest are generally better quality than Nokia’s offering, especially in certain countries. So when the new developments do land, Here will face some pretty tough competition and will lose its main differentiating feature – which is offline support.